One place on the Newborn Workshop on TBC, 1:00pm until 2:30pm at 17 Appletree Lane, Roydon IP22 4TL for one person. Do you work with new parents? Would you like to help parents carry their babies safely? Would you like to learn more about the different types of slings? Are you a doula, or a midwife, a childcare provider, an antenatal teacher, a sling manufacturer, a breastfeeding counsellor, or a sling library helper, or would you just like to support parents on their babywearing journey? 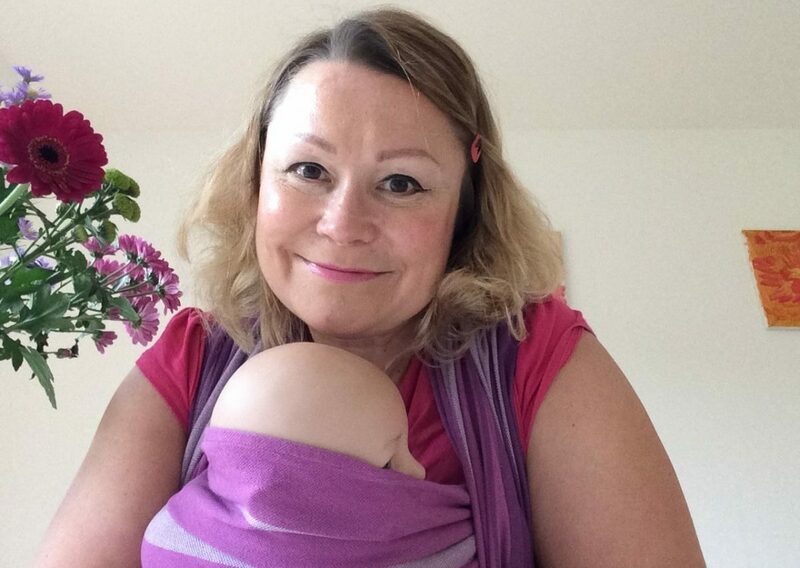 This one day workshop will enable you to carry a baby on your front using the 4 main types of sling available (wraps, ring slings, Meh Dais and Soft Structured Carriers). You will also learn about the advantages of using a sling for baby and parents, and how to do so in a way that is both comfortable and safe. At the end of this day you will have the skills and knowledge you need to choose and use a sling for yourself, but also to help new parents to do that too, in a sensitive and compassionate way. I run these workshops regularly from my home in Roydon, Diss on the Norfolk/Suffolk border. Diss is on main London to Norwich train line. Discounts apply if you book in a group! You are very welcome to bring your baby with you. I require a £25 deposit to secure your place and please email us to find out about the next dates for this workshop. A one day all encompassing fun workshop to enable you to help new parents to choose the right sling for their baby and to carry safely in arms. The workshop goes into the background and history of baby wearing, the pros and cons of each type of sling and the benefits to baby and the wearer.